Happy Sunday! Butterfly Book Club is back to showcase a reference book with a difference from the quirky folks at Flying Eye Books. 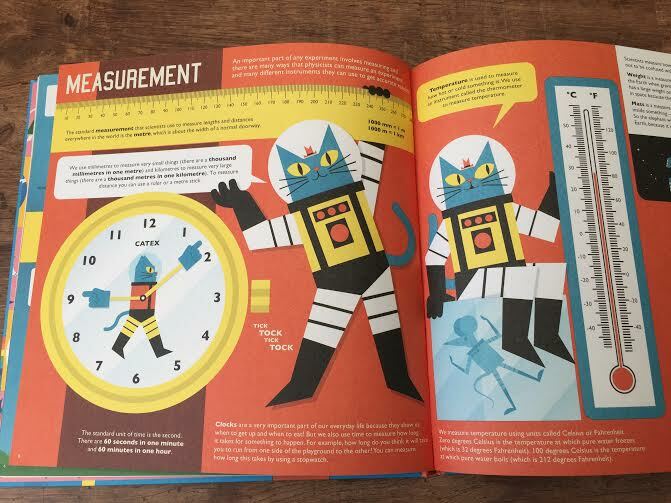 On first glance I assumed this was a large picture book but in actual fact it’s closer to a physics reference book in content…except it’s fun! 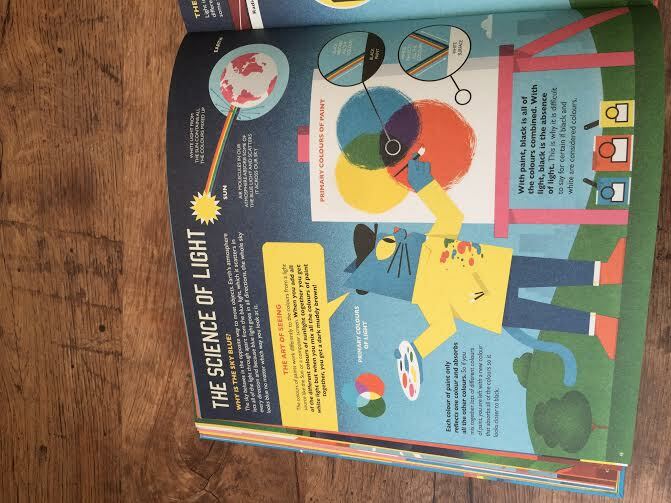 Using bold, bright & modern illustrations, this book explains in simple terms a whole host of scientific topics from atoms & molecules to Newton’s Laws & nuclear physics. The content is broken up, not only by the great illustrations, but by a layout of chunked text, speech bubbles and info boxes that is really easy on the eye. As with all the Flying Eye books I’ve encountered so far, it is beautifully made, with lovely paper and a textured, hardback cover that’s made to last. I picture this as a brilliant gift from a science-loving relative to a primary school-age child. I wasn’t a big science fan as a child but in recent years I’ve come to find it much more interesting and I’m currently obsessed with various science-based You Tube channels so this book has been a pleasure for me to read personally and, somewhat embarrassingly, it has taught me quite a lot. I love teaching Caterpillar about the science of the world while we’re out in it and, although this is a little too old for him at the moment, I’ll definitely be keeping it close at hand to try to ignite a love of physics in the future. Author Dr Dominic Walliman (who, incidentally, has his own You Tube channel) has written several Dr Astro Cat books with amazing illustrator Ben Newman, and plans more for the future too. I’d be interested to see the other topics they cover. You can by your own copy from Flying Eye books here. This looks a fascinating book. I must admit I’ve learned rather a lot about science, geography and history by reading books aimed at 9 year olds! Professor Astro Cat has been on my wishlist for a while. It sounds like I could also learn a lot from the book, physics was never my strong point at school! Ah snap! This was our book review for this week too! 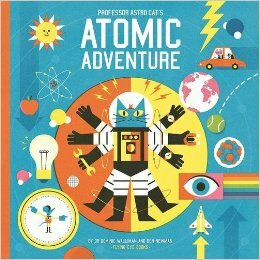 Professor Astro Cat is just fab, I lover how unique the books are too. This looks a great book. Will have to look for it. Great review.